Why Magento? What’s All The Buzz About? Here’s another excerpt from the article that Integrated Solutions for Retailers recently published in which they asked Magento experts Dydacomp, EYEMAGINE, and Redstage to explain what makes Magento such a popular choice as an e-commerce platform for retailers. Why Magento? What makes Magento such a popular choice as an e-commerce platform for retailers? Dydacomp: This question is best answered by our Magento Solution Provider partners, but from our perspective, Magento offers the retailer rich marketing capabilities, scales the best from small businesses to large enterprises, and has developed the most comprehensive community of solution providers and extensions in the industry. It’s a solution you can grow with. EYEMAGINE: Well, our history with Magento starts at the beginning. You see, EYEMAGINE began working with Magento since before version 1.0 and has contributed original source code to the platform. Having our roots in open source e-commerce technologies that pre-date Magento, we could see the writing on the wall and the hole in the market that Magento was looking to fill. Before Magento disrupted the market seven short years ago in 2007, e-commerce retailers that wanted to get serious about selling online often found it cost prohibitive to use a solution like Hybris, Demandware, ATG, or IBM WebSphere. These were simply not options for them as the cost of installation, licensing, configuration, and maintenance were just non-starters. E-commerce retailers’ only other option was to develop custom storefronts using their own developers and languages, such as ASP.NET or others, which again proved costly and challenging. Magento really came out and changed the game by creating a community-based, open-source platform capable of serious e-commerce, at a reasonable price point. This, in effect, opened up an entire market segment that otherwise had been underserved and without solutions. Recognizing the sheer enormity of the market space and the opportunity to serve literally millions of possible businesses, EYEMAGINE become one of the first Magento partners and have stayed loyal to the platform over the past seven years, even as Magento was acquired by eBay and the partner landscape continued to change. Now that Magento has the full support of eBay and the resources that go along with it, we are sure they will continue to innovate and create new and valuable features to help modern businesses succeed in the e-commerce space. The reality is that there is no “perfect” choice. Every piece of technology in the world is imperfect and will require maintenance, upkeep, and specialized knowledge to keep performing, as it should. As great as Magento is as a platform, do not underestimate its complexity. Always work with a partner whom you can trust, who has experience in providing years of quality service. “Back in the OSCommerce, Zen Cart, and CRE Loaded days, an ecommerce site was a big hack job of custom code and “addons” that were basically just instructions for additional hacks. The more complex your site got, the more of a hack job it would become. Random errors and stability problems were a frequent result. Many times, complex additions would mean a full redevelopment of the whole site. Magento also allows us to add custom and complex functionality without the risk of future systemic complications. To learn more about how to Get The Most Out of Your Magento Investment – The Back(Office) Story, watch this 30 minute webinar featuring Freestyle Commerce and Magento. Click Here to register for access. Are Your Customers Tuned In To The Omni-Channel Buzz? Are your customers tuned in to the omni-channel buzz or remaining focused on multichannel selling? Dydacomp: A growing percentage of customers are focusing on omni-channel marketing — adopting a sell anywhere/ship anywhere philosophy. But implementing it is harder than it sounds, because you need fairly sophisticated back office technology for inventory management and fulfillment. Your physical stores now double as warehouses and delivery locations. Your inventory available for sale can be on store shelves, in your own warehouses, stored and fulfilled through 3rd party logistics providers or drop-shipped direct to customer from the manufacturer or wholesaler. Point of sales systems need to talk to back office fulfillment systems like never before. And all the while, you need to keep the details and complexity hidden from the end customer. Omni-channel retail is a great way for retailers with a physical presence to compete with online businesses, but to do it requires an investment in not only their e-commerce platform but also the behind-the-scenes infrastructure. EYEMAGINE: Very few of our clients have brick-and-mortar stores or showrooms, so this is not a “buzzword” we hear a whole lot. The reality is that companies that truly need an omni-channel solution (think big department stores that have a global presence) are typically “too big” for Magento. As we are always reviewing different platforms in order to better serve the clients we partner with we have been considering platforms that are more “true” omni-channel solutions for the size of retailers that really need to be able to address concerns from clients like buying something on a mobile device and returning it to the store in person, or purchasing something from a tablet and picking it up from the store the same day. Multichannel selling is very much an issue that many of our clients have; we are seeking to help them sell across marketplaces like eBay and Amazon as well as their e-commerce B2C Stores, perhaps an e-commerce B2B portal as well and other channels that they have, like affiliates. Customizing solutions for them to manage these multichannels effectively is a part of many projects we take on, that is why having good partners with good tech makes such a big difference between success and failure for many of our clients. Redstage: Customers that have a brick and mortar channel are exploring the power of omni-channel retail, especially when it comes to loyalty programs and gift cards. Usually each channel must be integrated into a centralized ERP or order/inventory management system. This way there is one central location for available information on inventory and inventory locations. Ecommerce and POS systems are usually integrated into a centralized system in this way. POS and e-commerce systems can be synchronized directly, but that generally makes it harder to avoid inventory allocation issues, as neither system is well equipped to manage inventory at that level. So, you had a great idea for a product. You seized the market opportunity and decided to go for it. You built a great website using an eCommerce platform like Magento. And, now you’ve got a successful online retail business. Way to go! Now how do you get your back office operations working together with your webstore to make sure you always have enough product on hand and that the pick/pack/ship flows smoothly? We know that managing inventory and order fulfillment isn’t the most exciting part of becoming an eCommerce merchant, but it can make or break a web store’s success. How would you describe the essential integration between e-commerce and back office processes? Dydacomp: At Dydacomp, we break this integration down into stages. Once a retailer starts getting more than 20 or so orders per day, it becomes difficult to simply print the orders and process and fulfill those orders manually. They need a back office fulfillment system, and that’s where the fun begins. First, you must have a way to get customer orders from your Magento e-commerce platform into your back office environment. This is the first stage of implementing an inventory and order management system. Our systems integrate with Magento and allow mapping of order, customer and product information so that orders are extracted and imported fast and accurately. Second, you must process the order with a focus on both fulfilling the order and simultaneously managing and updating inventory. The pick and pack process is automated to assure accuracy. Inventory quantities are decremented for the units picked, quantity updates are sent back to the e-commerce platform or other order source immediately, low-levels may be reached triggering purchase orders for replenishment. Back-ordered items are identified and the appropriate customer notices are triggered. Finally the products must be shipped, shipping costs validated and finalized, shipping methods matched to customer preference, shippers selected and product shipped from local or 3rd party sources. Billing is completed and shipment tracking information is received and passed back to the customer through the channel where the product was ordered. In the end, the customer receives the product on time and at the price agreed. When these are the reasons being given, we often find ourselves speechless, as we have a difficult time understanding the mindset of the individual that is not ready to embrace success and actualize their business dreams into reality. However, these individuals do exist out there, and for them the reality of maintaining “control” of their systems and silo-ing technology platforms that do not communicate with one another seems to offer them some level of comfort, knowing that they can “pump the brakes” if things start getting “out of control.” In other words, they can inadvertently constrain the growth trajectory of an entire company and compromise the future of their fellow employees and position in the marketplace in an effort to maintain the fallacy of “control” over software. Redstage: Usually each channel must be integrated into a centralized ERP or order/inventory management system. This way there is one central location for available information on inventory and inventory locations. Ecommerce and POS systems are usually integrated into a centralized system in this way. POS and e-commerce systems can be synchronized directly, but that generally makes it harder to avoid inventory allocation issues, as neither system is well equipped to manage inventory at that level. Systems that are designed to sell in a particular channel usually do not include features to manage the flow of inventory through both channels. To learn more about ‘Getting The Most Out of Your Magento Investment – The Back(Office) Story’, watch this 30 minute webinar sponsored by Dydacomp and Magento. Click Here to register for access. Omnichannel Retailing – What is it? Why is it Important? And how do you apply it? Everywhere you look these days you see the phrase ‘Omnichannel Retailing’ – trade shows, industry publications, news blasts, etc. – but what does it mean and why is it important to online retailers? More importantly, how do you apply it? Multi- vs. Omni- Channel – Same or Different? There’s a lot of confusion as to whether or not Omnichannel is just a new hip way to say Multichannel, or if it’s actually different – the answer is … it’s different. Multichannel refers to the actual sales channels through which you are selling – storefront, online, mobile devices, etc. In the past, these channels typically worked independently of each other, which seemed foolish if you ask me. Our society is all about networking, so why wouldn’t a retailer ‘network’ between sales channels, after all it’s one brand. In the past, there’s been an emphasis on making sure the look and feel of the brand is consistent across channels, but what about cross channel promotion? This is one of the ways Omnichannel retailing comes into play. Omnichannel retailing is the marketing term that came about as a result of multichannel retailing. Omnichannel refers to the ‘experience’ the customer has when shopping in one or more of your sales channels, making sure it’s consistent and emphasizes the importance of cross channel promotion. Obviously customers aren’t going to have the exact same experience shopping in your storefront versus on your website – you lose the ‘touch and feel’ aspect, no sales reps to help you find product, etc. – but there are a few keys things you can do that customers can expect to see across channels – consistent service, product availability and pricing. At the end of the day, you’re one brand, so you want customers to have a positive interaction at all levels. Why is Omnichannel Retailing Important? Retail has always been about the customer experience, and Omnichannel doesn’t change this, it takes it to another level. It’s now an end-to-end experience that begins whenever and wherever the customer orders, not necessarily beginning/ending in the same place. A shopper’s journey is no longer a linear one, meaning he or she goes to one sales channel and decides on a purchase. Today we see shoppers incorporating some, and sometimes even all, of the retailer’s channels into their decision process. That’s why it’s so important to be consistent, whether in messaging, prices, etc. If not, you risk tarnishing that customer’s experience and potentially losing them as a repeat customer. That’s critical, because it costs 5 times more to get a new client than to keep an existing one and existing clients are much more profitable than new ones. There have been a lot of reports and surveys done recently on the benefits of applying an Omnichannel retailing approach, and the number one benefit is always ‘stronger brand identity/recognition’. This is key to your survival as a brand/retailer. Other benefits attributed to applying an Omnichannel approach include revenue growth, expanding your customer base, higher customer satisfaction, and it can be a competitive differentiator, at least until the rest of the retail world catches up. How do you apply an Omnichannel Retailing Strategy? There are lots of ways to apply an Omnichannel retailing strategy. Some of the easier ways include: making use of social media, integrating customer reviews (for online channels), offering cross channel services, and the easiest of all – providing consistent pricing across all channels! I’m sure most of you use, or know others who use, Facebook, Twitter, Pinterest, etc. Social media is an easy, free way to get in front of your customers. Additionally, it can help you expand your reach! Each time a customer ‘follows’, ‘likes’ or ‘retweets’ something you post, each and every one of their connections now sees it – essentially it’s like free marketing! Customer reviews are great for boosting online sales, especially for those products are harder to sell due to the lack of ‘touch and feel’ aspect. And I’m sure many of you have seen retailers offer the option to ‘buy online, pick up in store’, but what you may not have realized is that this is an Omnichannel retailing strategy. In this example, two of your sales channels are working together, your website and storefront. These are just a few quick examples. We’ll talk more about applying an Omnichannel Retail Strategy in future posts. An Omnichannel retailing strategy is a necessity for those of you working in multichannel sales environments, and it makes sense. You’ve worked hard to build out each of these channels, now let’s start using them to our advantage! For a more in depth look at Omnichannel retailing, along with additional examples on how to apply the strategy and then how to evaluate the success of your efforts, check out our webinar, Omnichannel Retailing – Finding Value in a Multichannel Sales Landscape . Back to Basics. Do You Know How People Find You Online? If you operate a brick and mortar retail store, it is easy to ask customers how they found you. And, you can see firsthand which products are selling and which may require further explanations to help the shopper understand either how to use the product or how it would fit them, if, for example, they’re looking at apparel. Running an online retail business is a different story. Do you know who is visiting your website? Where are they coming from? What do they like or dislike? Getting these answers is not so easy to do with customers who visit you online but the information is available to you. The information can be found through online analytics. Analytics are a valuable asset when it comes to your website and your online marketing efforts. The more informed you are about customer interactions with your eCommerce store and the products you sell online, the more effective your marketing efforts and your site will be to drive sales. It’s so important to understand where your visitors are coming from and how they found you– whether they reached you directly, via a search engine, through social networks or other referring sites. An analysis of website visitors helps you keep track of new and returning visitors. Through tools like Google Analytics, you can capture and analyze how much time people are spending on your site and which pages on your site are attracting the most attention. Monitoring website analytics on a fairly frequent basis can make all the difference to growing your online business. We have found that there are two critical areas where even simple analytics can help to hone your web marketing strategy effectiveness. The first centers around Internet search keywords. Keywords drive traffic, messaging and sales. Analytics can help you determine which keywords are working and which keywords are not. Words or phrases that you thought described your product may not be what online visitors use to search for your product and find your site. You may have the right keyword, but the wrong content surrounding it. You don’t have to manage hundreds of keywords. In fact, most PayPerClick (PPC) and SEO experts will agree that you should keep your primary keyword list under 25 or even under 15. These are the words that shoppers would use to find the products you offer and/or to find you, in particular. They can be common terms for the market(s) you serve coupled with your differentiators. For example, in the fashion apparel market, popular keywords may include ‘women fashion shoes’, ‘fashion accessories’, ‘vintage handbags’ … to name a few. You can actually search for ‘common retail search keywords’ and then check out those listed for your specific audience. The second centers around your landing pages. If you don’t have the time to analyze your site’s keyword performance in depth every day, we recommend, at a minimum, understanding your landing page content relative to your most important keywords. Understanding key website performance indicators like the ones listed below will help to maximize its overall effectiveness. It is important to know how many people landed on a page that may have been designed to support a specific promotion, how many people exited the page quickly, where they came from, what keyword they searched to get there, how long they spent on a page? You can also track results by seeing if they converted. Your home page is often the top landing page and it typically can have the highest bounce rate if visitors don’t find what they’re looking for right away or if the messaging doesn’t match what they searched for in the first place. Test a few different designs and messages to find which ones offer the lowest bounce rate and drive the most conversions overall. Secondary pages or internal landing pages are often the most valuable parts of your site. These pages often contain the specific information your customers are looking for. Designed properly, internal pages answer your customers’ questions and drive them to convert. Break down the top landing pages and evaluate what makes them successful. Analytics can tell you what keywords your site visitors used to get there to help you refine your content. Define the type of content on that page and the calls to action (CTAs) you are using. See if this can this be replicated on other pages. This type of analysis gives you key information on how customers interact with your site and how you can provide them with a great experience by having the right design and content. Many of our retail customers are finding the effective use of videos to support product descriptions. A short video can not only showcase a product and drive sales, they can also cut down on the common ‘how to’ customer support calls. What are the top landing pages? What pages do people spend the most time on? Which pages lead to the most conversions? Which campaigns led to the best sales performance? Effective website analytics can help you to find out which of your marketing strategies and tactics are bringing the most customers to your site – whether it is a newsletter, social media posts, email promotions, club memberships or other marketing programs you are using. The more informed you are relative to customer interactions with your site, the more effective (and more efficient) your marketing efforts will be. Online marketing methods need to be supported by web analytics so that you know what is working, where your shoppers are coming from and what you can do to attract customers. If you don’t already have good analytics in place, make this the year that you add this function so that you can run your site more efficiently. If you haven’t heard about omnichannel retailing, it’s the latest buzz around giving customers a 360 degree experience with your business. 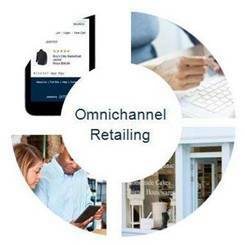 If you’re interesting in learning more about omnichannel retailing and the latest trends in people finding you and experiencing your brand, check out this On Demand Webinar: Demystifying Omnichannel Retailing: Finding Value in a Multichannel Sales Landscape.